Today (Monday 4/22) is the deadline to register to vote or update your voter address for purposes of voting in the Primary Election. You should check your voter registration status just to be safe by visiting KFTC's own www.KentuckyElection.org and click "check my registration" in the bottom right. 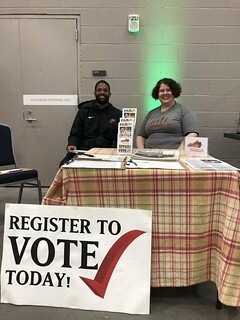 If you need to register or update your address, click on "Register to vote online" on the same page. 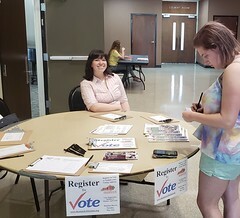 Not many people know this, but 17 year-olds can register to vote now and even vote in the May primary as a 17-year-old if they will by 18 on or before November 5 (Election Day). If you're already registered in Kentucky, you can't change your political party for purposes of voting in this primary.